The moment these three sunset-inspired palettes were released, I started drooling after them. Every single one had shades that I love and don't already own--a key feature in the palettes that I'm trying to buy lately! I don't know about you guys, but I can't buy any more all-neutral palettes. I can't justify it anymore, even though eyeshadow palettes are my favorite thing to buy and neutral shadows are my favorite to wear. Who really needs the same dark brown shade in five different formulas? Not me! 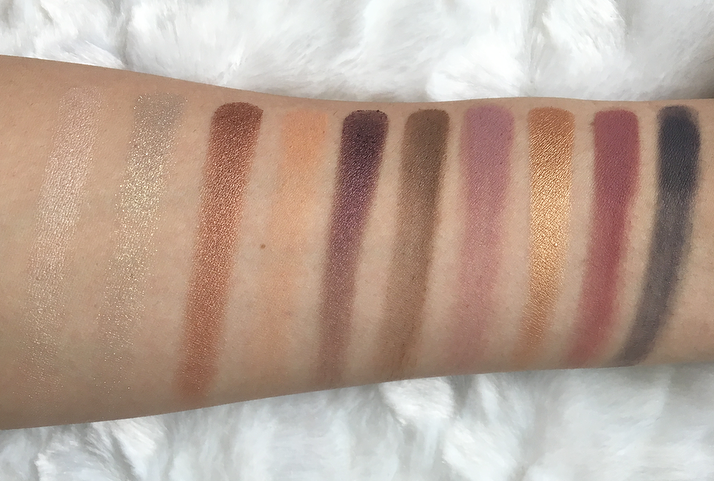 That's what I feel the Sunset-inspired range from Lorac has done really well: put a good mix of neutral shades with more unique, colorful ones. I was torn between the Ocean Sunset and the Desert Sunset and finally settled on the Ocean one as it has more shades that are new to my collection. Lorac's Pro eyeshadow formula is one of my favorites so I was a little nervous to try their Unzipped one! Thankfully, they seem very similar to me and I've had similar good results with this palette. Lorac's formula is very pigmented but can be powdery and has a lot of kickup. The eyeshadows blend really well and last a long time with a primer! The eyeshadows aren't for everyone, but I personally really like them and find them easy to use. The packaging of this palette is a gorgeous ombre cardboard with a strong magnet. I think the packaging looks great, but I notice that if I try to open the palette at the right-hand corner (which is what I do for most palettes) the cardboard starts to bend along the lines put into the palette. So far it hasn't been damaged at all, but if I don't get out of that habit I think it will get some noticeable creases. The palette includes ten shades, five mattes, four shimmers, and one glitter infused, and doesn't include a mirror. My favorite shades are Sea Urchin, Sundown, Sandbar, and High Tide! I also love the color of the Salt Water shade, but the glitter tends to fall out everywhere when you put it on the lid. Salt Water is the only shade that I think is difficult to use. If you do your eye makeup first it shouldn't be an issue, but it ruined my face makeup the day I tried to use it! Other than Salt Water, I find the mattes very soft and blendable and the shimmers to be gorgeous and metallic. There is a good mix of shades including transitions, crease shades, and a highlighting shade. The only thing I wish it had was a matte cream shade to set my primer with and highlight my browbone. I find myself using most of the shadows in here. Stingray and Salt Water are the only ones I don't think I'll use often. This palette is, unfortunately, limited edition along with the Mountain Sunset and the Desert Sunset palettes. If you're drawn to these shades, I do recommend this palette and I know I'll be getting a lot of use out of it! It is available at Ulta or the Lorac website for $42. 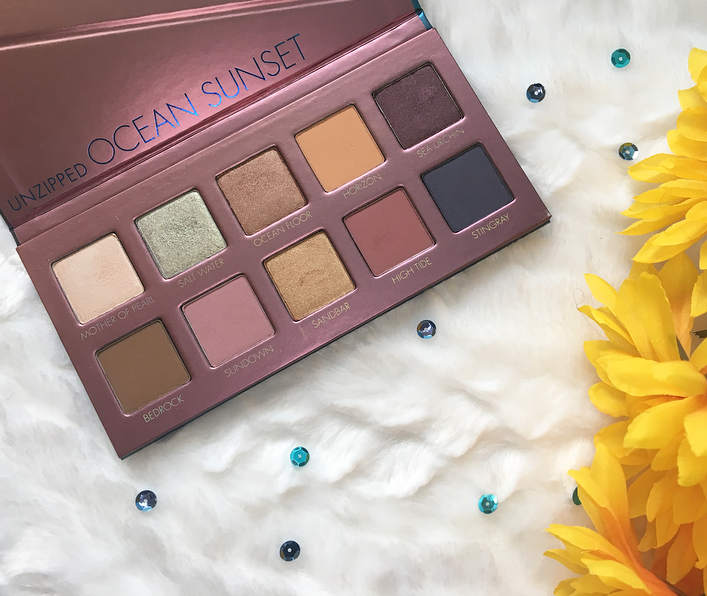 What do you think of the Ocean Sunset palette? 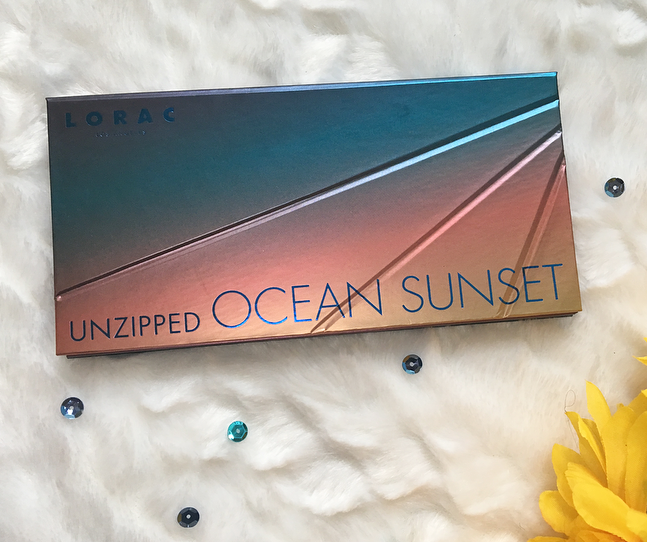 16 comments on "Lorac Unzipped Ocean Sunset Palette Review"
I'm loving the colours in that palette - gorgeous! What a pretty palette! High Tide is such a beautiful shade, wow! I love the packaging and the shades look great too! These shades are gorgeous! I'm yet to try any of Lorac's products, all of they're palettes look so nice. Aaaaah that is one absolutely stunning palette! I wish we had Lorac here in the UK! I am in the same boat, just can't justify another neutral palette anymore but at the same time I am terrified of colour eyeshadows. LOL! Ah that's gorgeous!! Definitely agree it's the perfect balance of more 'out there' shadows and daily ones. I've never tried Lorac but I really want to! Ooo gorgeous! I can see myself using this palette!